Display any info submitted from CF7 form in infowindows including image uploads. Create a new CF7 form and add 4 lines of text displayed in below image in the additional settings tab. so that visitors can specify their location easily and to display that entry on google maps later. This field must be set as mandatory by using the default “*” character. Please see above image for reference. Navigate to create a new map screen, go to GEO Tags section and enable the checkbox provided. Now copy and paste names of three fields in the textboxes provided in front of “cf7_as_entries” post type. Save the map. The shortcode generated by this map will display all the entires submitted by CF7 form on any page. 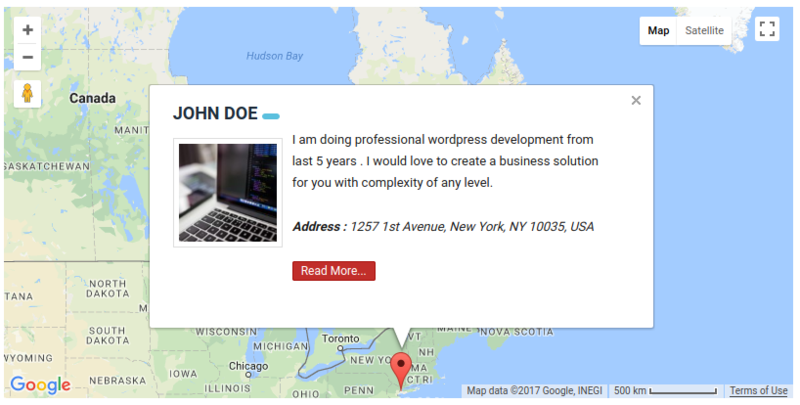 With this plugin, visitors of your site can provide their current location from CF7 form very easily with with google’s autosuggest address control. Once everything is setup properly, for every form submission a new custom post will be generated in backend under “CF7 Entries” menu. 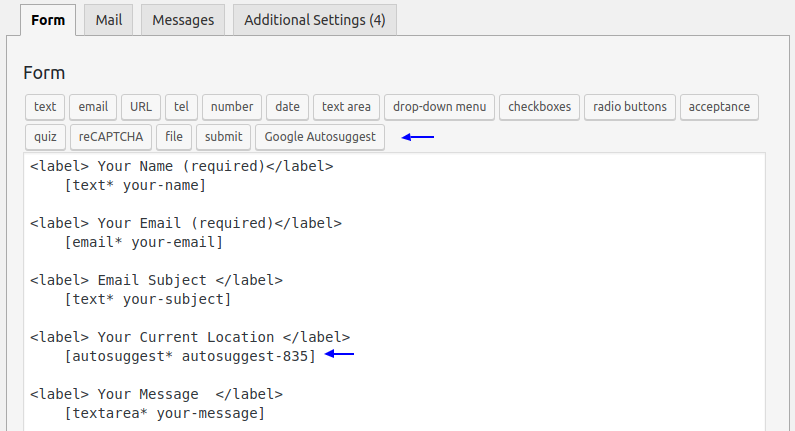 Admin will only need to publish that post after review from backend in order to display it on frontend google map. This plugin is super easy to use. Step 1: Install Contact Form 7 and Advance Google Maps plugins. Then install CF7 Submissions To GoogleMaps plugin. Step 2: Create CF7 form according to requirements. Step 3: Add some additional settings on CF7 form’s additional settings tab to specify that this CF7 form submission needs to be stored in database. 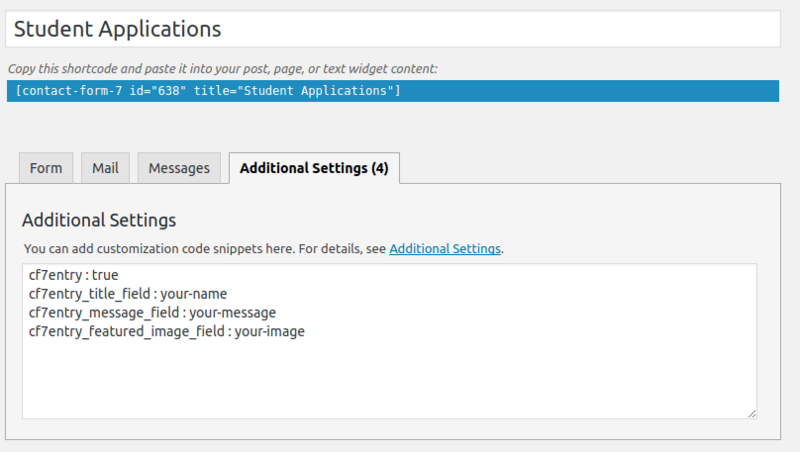 Specify title, message & image upload field. Step 5: That’s it You’re done.